To meet increasingly demanding customer specifications, Intertrade Steel has a commitment to provide quality products through the investment of up-to-date equipment. Our sales people and warehouse staff has all received SPC training to effectively process even the tightest quality specifications. 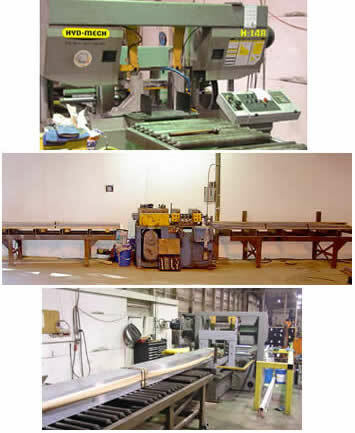 Production saw capabilities include 5000 lb. bundle quantity, ± .015 cut tolerance. The 3/16″ x 12′ Wysong Mechanical Shear has capabilities of 60 strokes per minute and ± .007 tolerances. The 3/8″ x 12′ Cincinnati Mechanical Shear has capabilities of 50 strokes per minute and ± .015 tolerances. Strips & flats in 1/32″ width increments.